The Cover 3: Why Are We Ruining National Treasure Christoph Waltz? Waltz was superb throughout the rest of the film (and in three languages) and rightfully won the Best Supporting Actor at the 2010 Academy Awards. There was no way you could watch Basterds and not be sucked in whenever Waltz was on screen. Thanks to his success, he went to have major roles in Water For Elephants and the The Green Hornet. Obviously after a slight dip within our cinematic zeitgeist, he was resurrected as the lead in Tarantino’s newest film Django Unchained. Waltz went on to win his second Academy Award for his performance as Dr. King Schultz. While I could quibble with the specifics, Waltz was again excellent in a Quentin Tarantino masterpiece. Since 2012’s Django, Waltz went on to star as the villain/antagonist in a handful of other projects such as Big Eyes, Horrible Bosses 2 and Spectre. Obviously Waltz has been typecast, but he’s so perfect as the film’s Big Bad that we shouldn’t care so much. After the success of another career bad guy in Javier Bardem, the James Bond franchise tapped him as the Biggest of Bads as Ernesto Blofield. Often times in these pure good vs. pure evil films, the bad guy is the most interesting aspect of the film. That’s why Heath Ledger (The Dark Knight) and Javier Bardem (No Country For Old Men) also have Academy Awards for reasons analogous to Waltz. That’s why Waltz as Blofield was a no-brainer. Yet Spectre ruined anything Waltz could have brought to the table. Not only was he barely in the film, but the film’s desire to mask who Waltz actually was neutered what could have (and should have) been an iconic performance. The latest in Christoph Waltz’s career of being the bad guy is David Yates’ (the guy who did the last four Harry Potter films) disposable Blockbuster The Legend of Tarzan. I didn’t mind the film, although the movie’s 36% on Rotten Tomatoes is well deserved. The picture is bumpy and clearly meant as some sort of IP cash grab, yet the most frustrating part of my experience with the film is its use of Christoph Waltz. In the film, Waltz plays Leon Rom- some sort of dictator / government official / business man – who wants to capture Tarzan. (I clearly wasn’t paying that much attention, but it’s not important, Waltz is the bad guy). He gets plenty of screen time, yet his performance falls flat like the rest of the film. Some part of me wants to blame the script and the scripts he’s had in the past (The Green Hornet isn’t good, Spectre underutilizes him, Horrible Bosses 2 is a film focused on Chris Pine and the 3 leads and not Waltz), but at what point do we stop blaming the scripts and start blaming the actor? It’s possible to be villainous in a bad project, difficult, but possible. Kevin Spacey does it all the time in House of Cards. Why can’t Waltz chew scenery the way Spacey does? The frustrating thing is that we’ve not only seen Christoph Waltz be a great actor, but have a career-defining iconic performance. 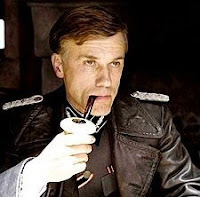 Col. Hans Landa from Basterds is incredible, but is Waltz only good at making a Tarantino script good? Is his niche really that specific? I really don’t want to say that Waltz is only good in Tarantino films, but we now have a large enough sample size to justify this point. I have a theory about Christoph Waltz. I believe that he’s actually miscast as a villain, and that he’s actually better at playing the protagonist. We’ve seen Waltz be the good guy, and he won an Academy Awards for doing so in Django. I think he’s also a good guy in Basterds as well. He does horrific things like a killing an innocent family and chokes a woman to death with his bare hands, but Waltz doesn’t play Col. Landa like a villain. He plays him like the protagonist, and in a world where we love Breaking Bad, The Wire, and Mad Men, it’s not difficult to imagine a project through The Jew Hunter’s eyes. The scene he has with the French farmer is certainly not an example of a guy whose main role in a film is to be the villain. It’s a scene that shows us Waltz believes this character believes he’s doing good. In Waltz’ other project, his character still serves that same role, yet the character itself doesn’t even believe he’s the protagonist in his own story. There’s a cliché line in Hollywood, “the bad guy doesn’t believe that he’s the bad guy”. Yet for the vast majority of Waltz’s career, that doesn’t true for his characters. After The Legend of Tarzan, I have stopped getting excited whenever I see Christoph Waltz has been cast as the antagonist. That fact alone won’t make or break the movie. Yet I have not given up on Christoph Waltz himself. He’ll still be cast in disposable films like Tarzan and The Green Hornet, and he’ll still agree to those roles because he’s an actor who needs to work like everyone else, but sooner or later, a great filmmaker is going to come along and actually write a good part for Waltz to really sink his teeth into. I refuse to believe that Waltz is only great with Tarantino, and sooner or later Waltz will prove that. I just wished he did that sooner so he doesn’t waste his prime. 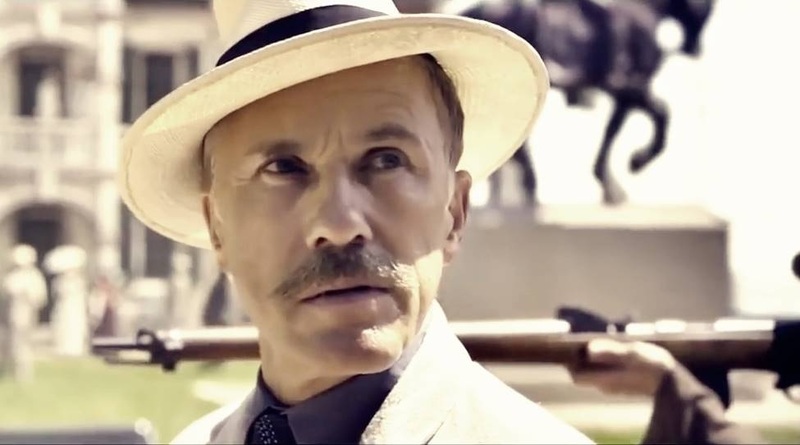 WHAT ARE YOUR THOUGHTS ON CHRISTOPH WALTZ AND HIS CAREER? LET US KNOW ON OUR FACEBOOK PAGE!